17 March 2017: Jazzright Productions use AXIS to bring the Latin heat! Home > Blog > 17 March 2017: Jazzright Productions use AXIS to bring the Latin heat! Sydney is one of the most diverse cities in Australia bringing together cultures from all over the world. The Latin American Festival is a celebration of one of these many vibrant cultures and has been running for 37 years. 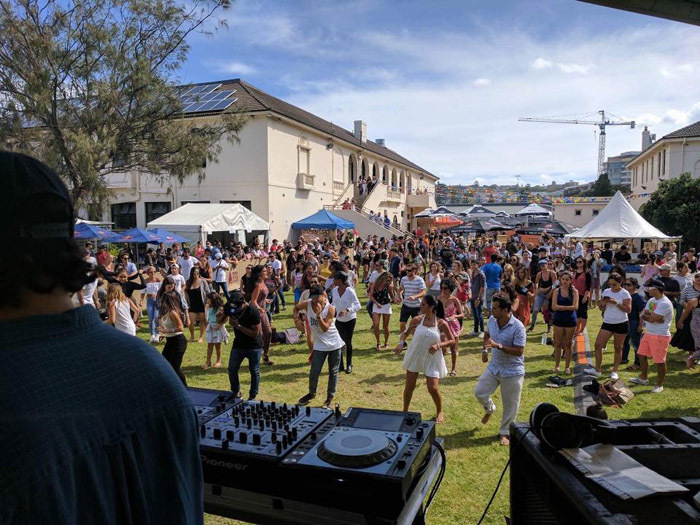 After a two-year absence, the Latin American Festival returned to Bondi on February 26th 2017. Famed for its beach the world over, Bondi is the obvious place for community groups to relaunch this amazing festival. 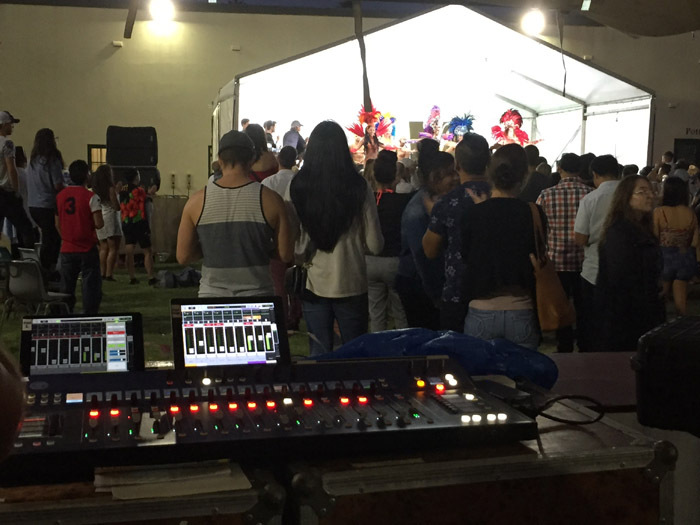 Featuring over 250 artists and performers throughout the day, the Latin American festival was going to need some serious mixing capabilities. 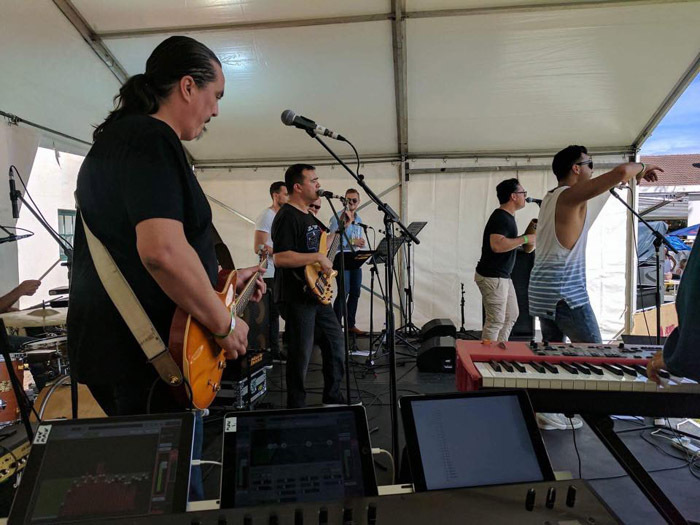 The company tasked with production duties for the festival, Jazzright Productions, used the new Mackie AXIS digital mixing system. Jazzright was established in 1989 and quickly developed an impressive reputation as an audio engineering and production company. During their early years they worked with a large array of established local and touring musicians, providing live audio systems and technical solutions. Today Jazzright not only provides equipment and production for numerous events, but also helps develop clients' AV projects, providing design plans, 3d drawings and installation. 'The particular stage they were working on was pretty intense,' says Jazzright's owner John Perez. 'There were no sound checks and we only had two stage plots before the show'. Of the multiple acts that John and his crew had to look after, nearly all them were using 32 channels comprising horns and percussion. This was one of the main reasons for using the AXIS system. 'It's not complicated and allows access to every feature quickly'. Jazzright actually used two AXIS systems to cope with the rigours of the festival. The first system acted as a FOH set up as you would expect. However the monitor system was fed by the F.O.H DL32R via Dante. Eliminating the need for heavy, expensive and messy snakes, the entire 32 channel mix can be sent to the monitor engineer via a single CAT5E cable. With the two separate systems in use, the F.O.H and monitor engineer can work quickly and efficiently to cope with the multiple band and performer changes. 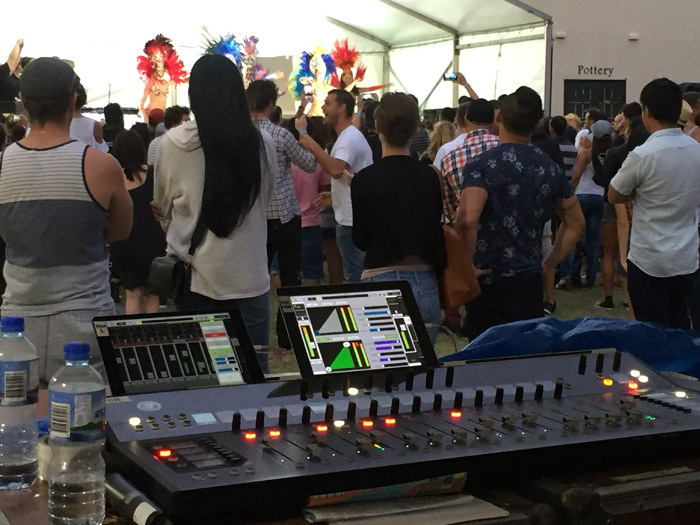 Given the ability to host three iPads, the Mackie AXIS provides an incredible amount of visual feedback making more intensive shows far easier to handle. 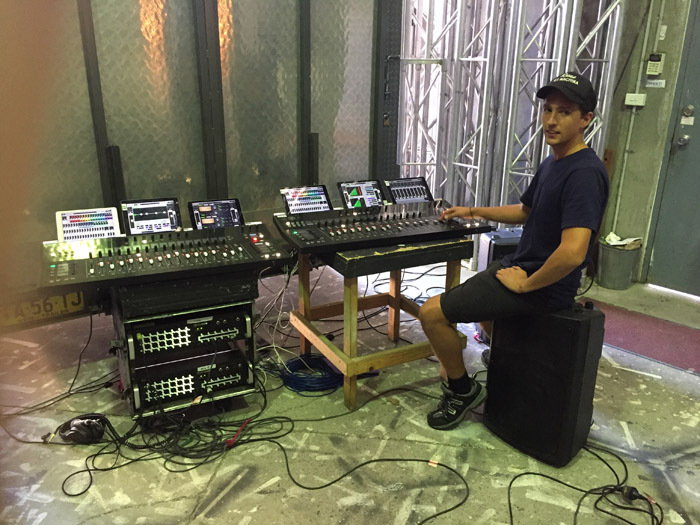 John has been using the Mackie DL32R since its launch and is extremely pleased with Mackie's approach to the Master Fader software. Using up to three iPads on a single DL32R unit he said, 'It is perfect for concerts and school performances as the software is so stable'. However for more intensive shows it was an obvious choice to upgrade to the full AXIS system. 'We needed more hands-on control of more channels and it's such a well-built console, it's a winning combination'.